The Bateleur is a medium-sized eagle with very distinctive plumage. 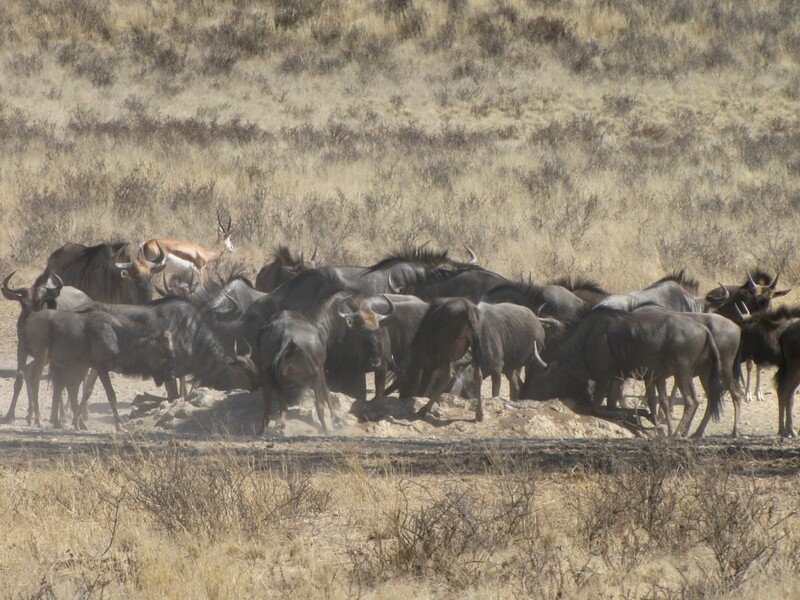 The dark colours make them difficult to photograph in the harsh Kalahari light. However, if you find them during the “golden hour” of early morning or late afternoon, they glow and you can capture the beauty of the feathers. The Bateleur is named after the French for “tightrope walker” as it spends most of the day up in the sky, riding the air current and rocking from side-to-side. The adult Bateleur plumage only develops after seven to eight years. Juveniles are a mottled brown. 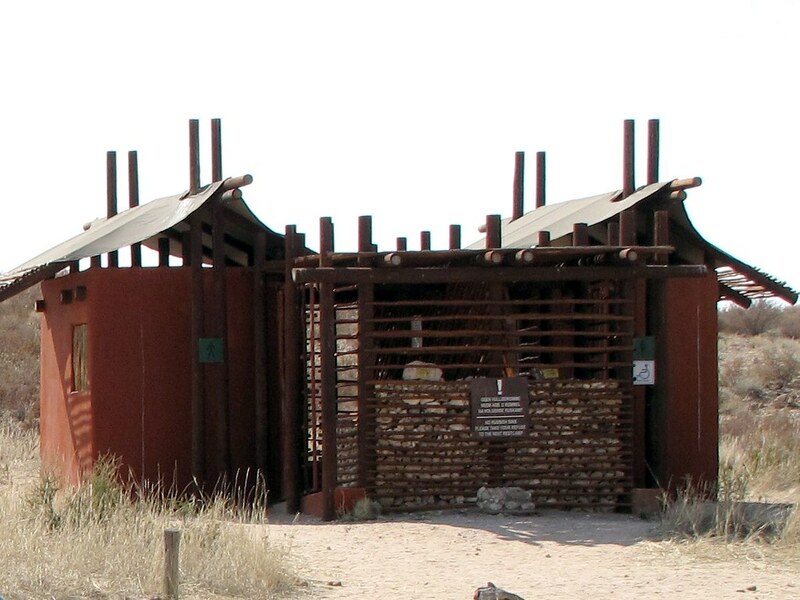 For more info and stories about the Kalahari see Kalahari Series I – 2009 and Kalahari Series II – 2011. 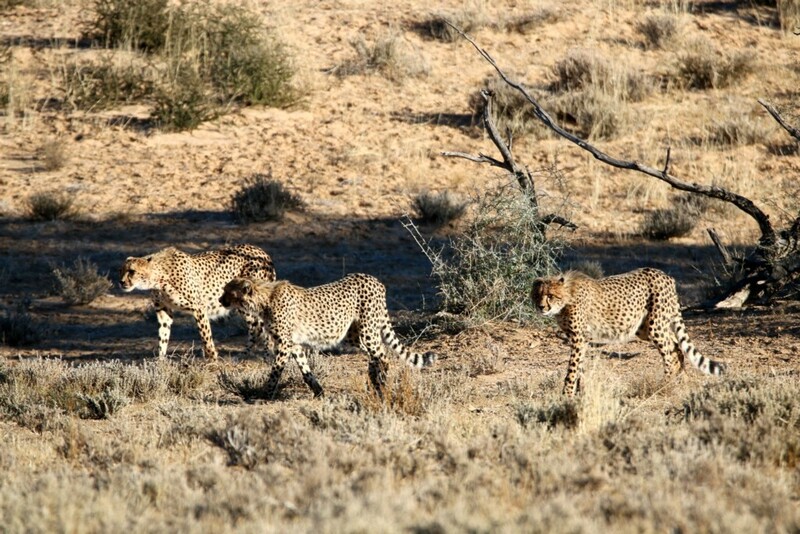 Three cheetahs were striding through the Kalahari veld, seemingly oblivious to our presence. Just before they disappeared over the ridge, I sneezed and they all turned around in unison to look at us. 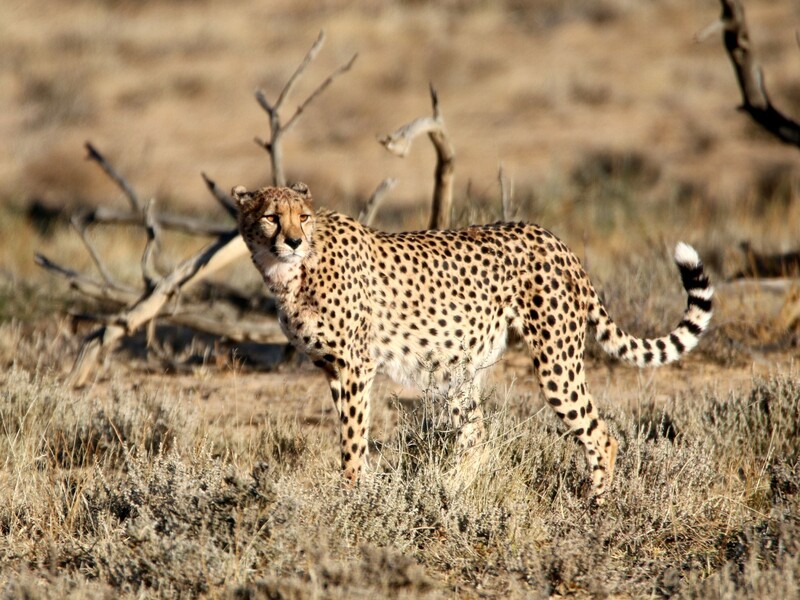 These photos were taken in the Kgalagadi Transfrontier Park (Kalahari) during August 2015. 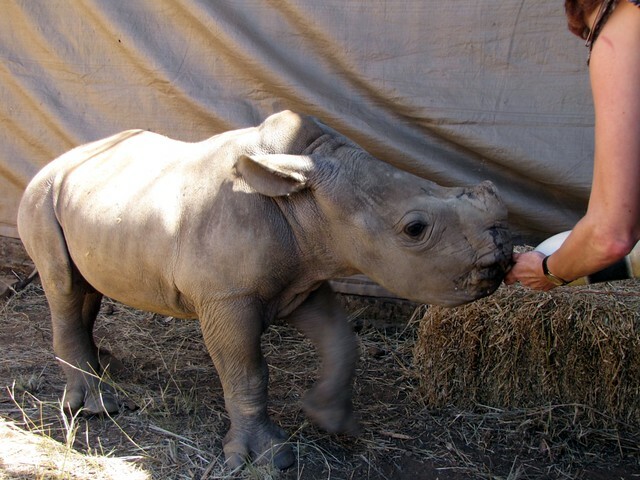 For more info and stories about the Kalahari see Kalahari Series I – 2009 and Kalahari Series II – 2011. 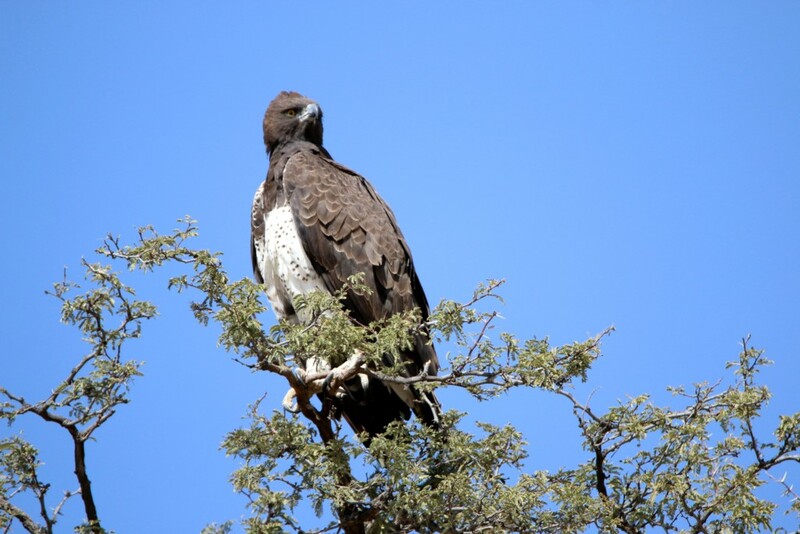 The Martial Eagle is the largest eagle in Africa. It swoops down on its prey from high up in the sky, often killing its target in one blow with its massive talons and muscle mass. 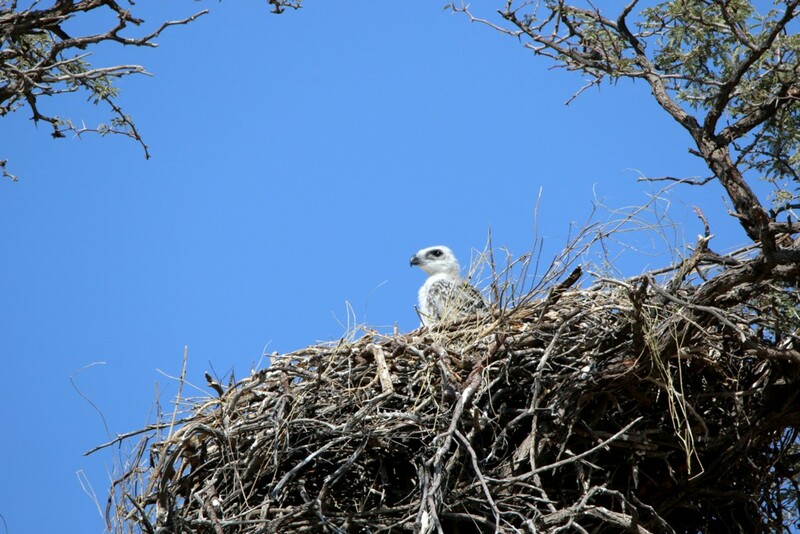 It reproduces every two years, raising only one chick at a time. 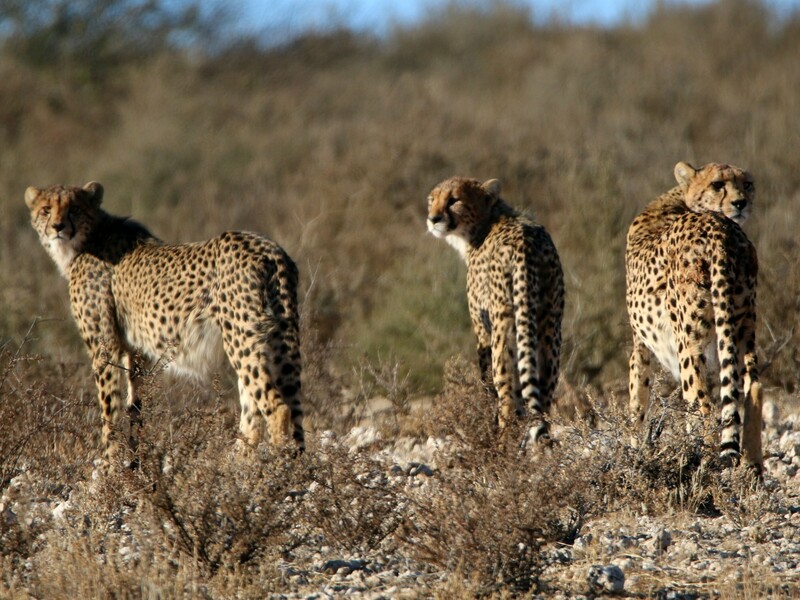 So this sighting in the Kgalagadi Transfrontier Park was a rare and special one. 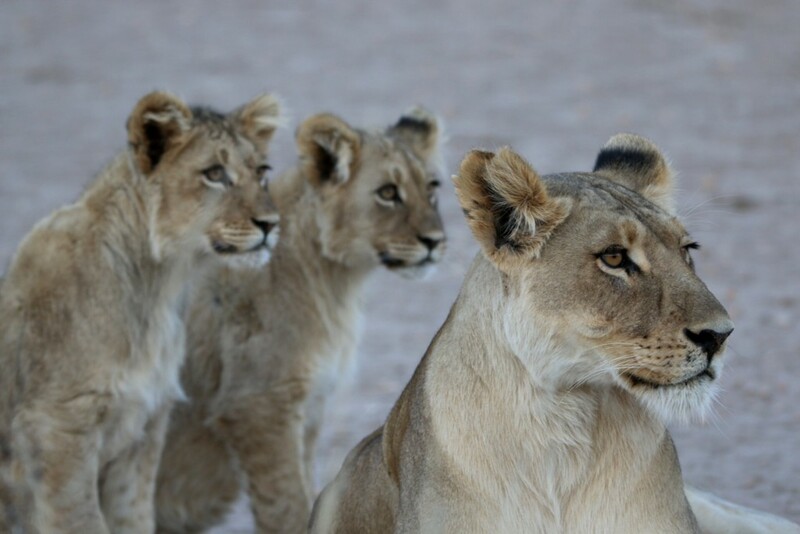 If you have read my post Take your camera to the bathroom (and other Kalahari safari tips), you will know that spotting any of the big cats in the Kalahari can be hard work. It is all a matter of persistence and a lot of luck to be in the right place at the right time. 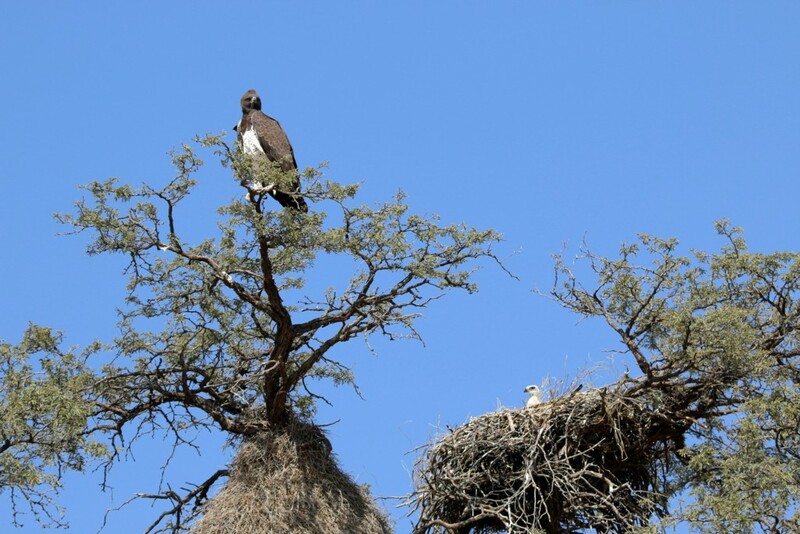 Sometimes you need to depend on the sharp eyes of other visitors to the area to find interesting sightings. 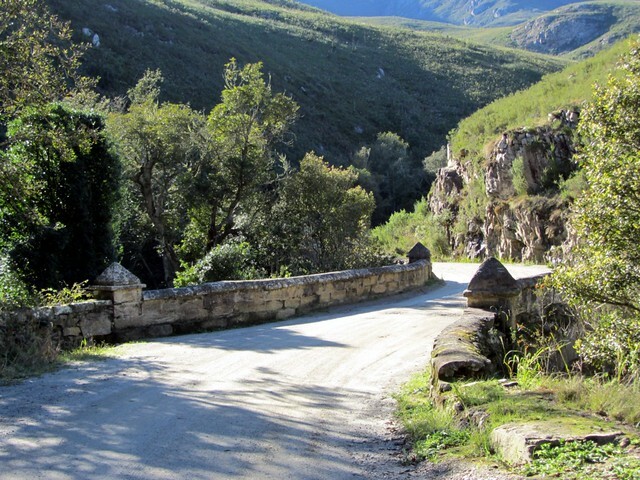 Very occasionally you get lucky when you least expect it, as Willie did while travelling to another camp on an errand. He came across this very relaxed lioness with her cubs. The soft afternoon light gives these photos an ethereal, almost painting-like quality. © Notes from Africa southerncape.wordpress.com. See Copyright notice.